No, this isn’t an April Fools joke. Comet Over Hollywood is hosting it’s second blogathon. It’s been nearly a year since I held my first blogathon: “Gone Too Soon” honoring actors who passed away before the age of 50. My sophomore blogathon effort will be recognizing child stars. This includes any child actor or actress who performed in films or on television. 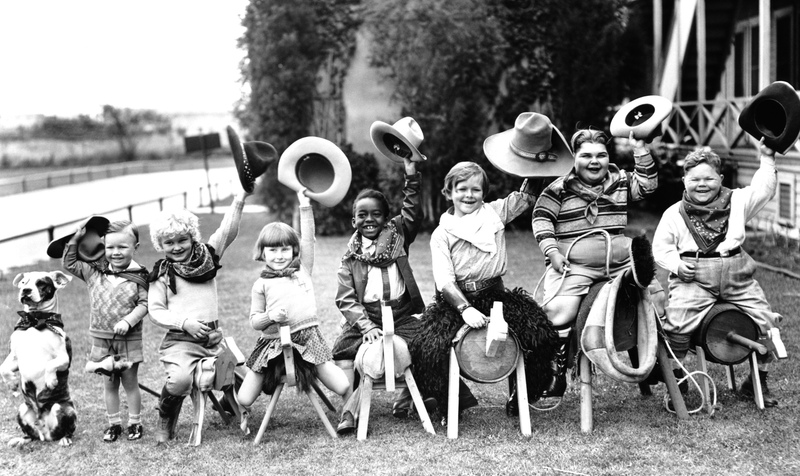 Topics can vary from a specific individual, non-profits who help young actors or to general treatment of children in the Golden Era. This post is to gauge interest, but if you would like to go ahead and reserve your topic, feel free to leave a comment doing so. I’m scheduling the blogathon Friday, May 24 through Sunday, May 26, 2013. I look forward to hearing your post ideas and will post blog banners in mid-April. Thank you all for reading Comet Over Hollywood. 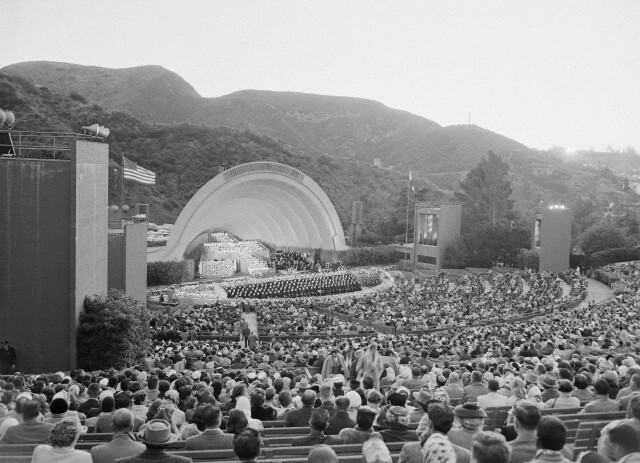 The Hollywood Bowl has held historic performances from Olivia de Havilland and Mickey Rooney in “A Midsummer Night’s Dream” in 1934 to the Beatles in 1964 and 1965. It also holds an Easter sunrise service every year. 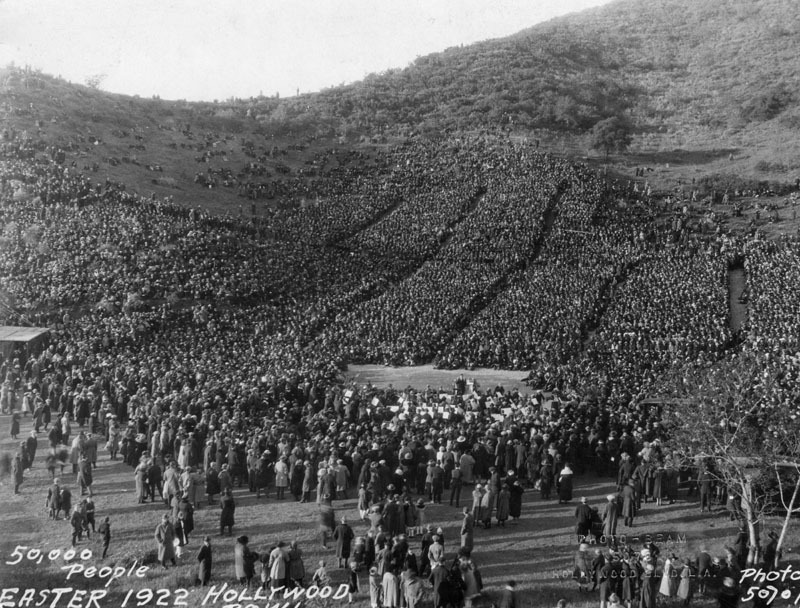 The tradition started in 1919 when silent film stars held a sunrise service near the area of the Hollywood Bowl. 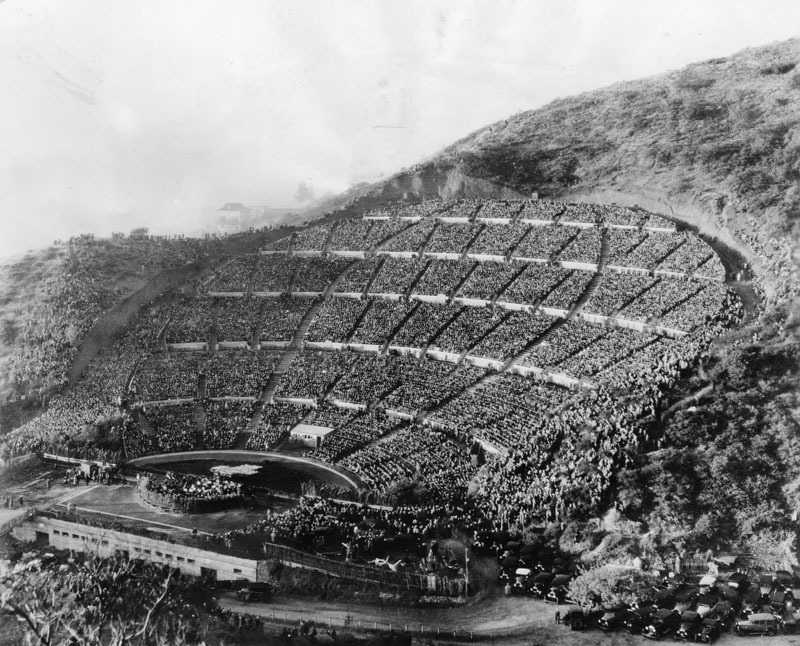 The service was then moved to the site in 1921, when the Bowl was basically a rocky, weedy hillside that had excellent natural acoustics, according to the Hollywood Bowl’s website. Los Angeles Philharmonic at the Hollywood Bowl in 1921. 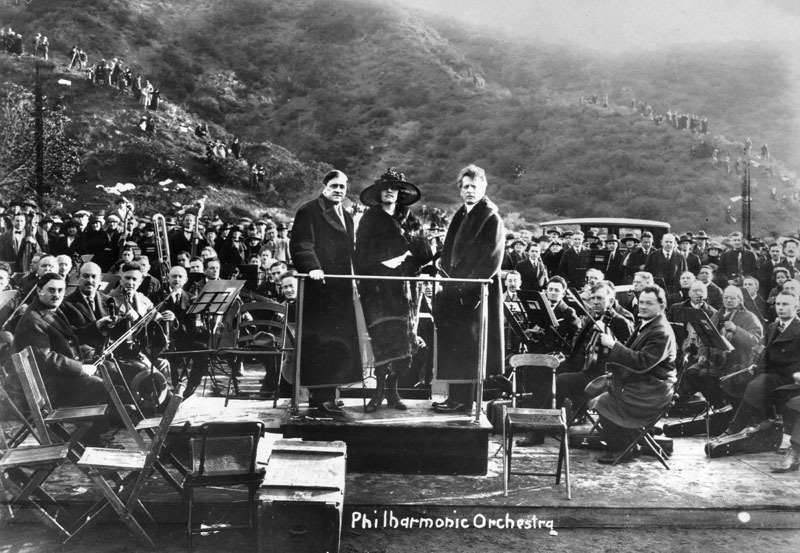 At the 1921 service, the Los Angeles Philharmonic performed and over 800 people attended. 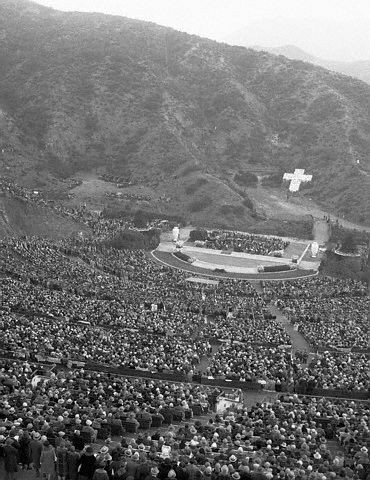 In 1922, the Los Angeles Philharmonic performed for 50,000 at the Easter Service and the Hollywood Bowl officially opened four months later on July 11, 1922. Easter Service in 1922 with 50,000 people in attendance. The shell on the stage at the Hollywood Bowl was designed by Frank Lloyd Wright’s son, Lloyd Wright, in 1928 but seems to have been removed for the service. 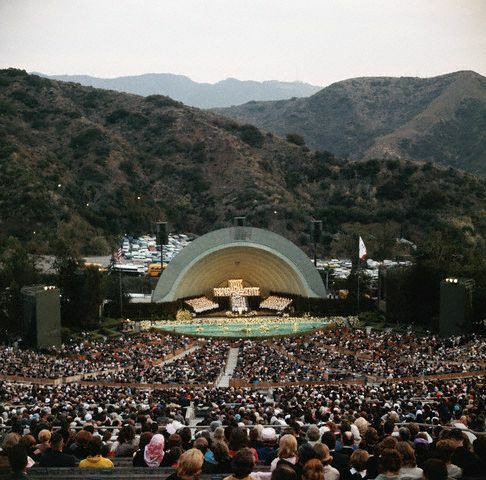 The Hollywood Bowl Easter Sunrise Service is held every year but has been canceled at least three times in recent years: in the mid-1990s for renovations, 2010 due to lack of funding and 2012 for maintenance on the Hollywood Bowl, according to a Los Angeles Times article. 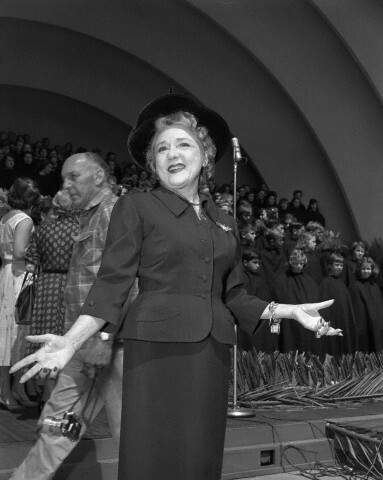 Mary Pickford recites “Salutation to the Dawn” in 1953 on her 61 birthday.